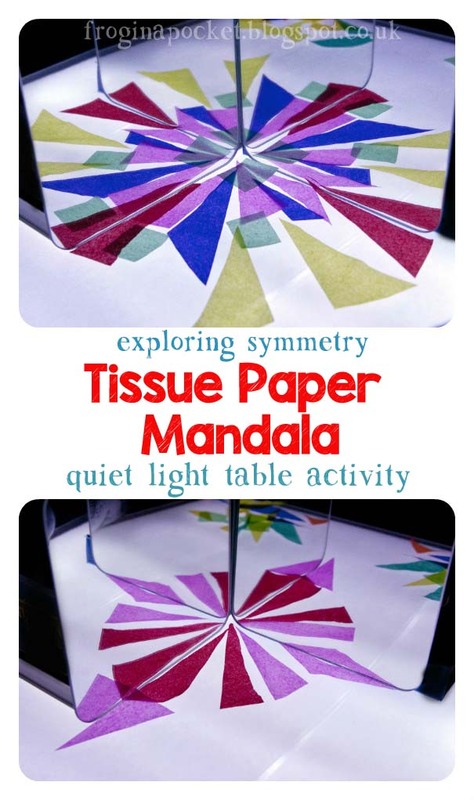 If you are looking for a quiet evening activity and you like light table play - making Tissue Paper Mandala on the light table is perfect! 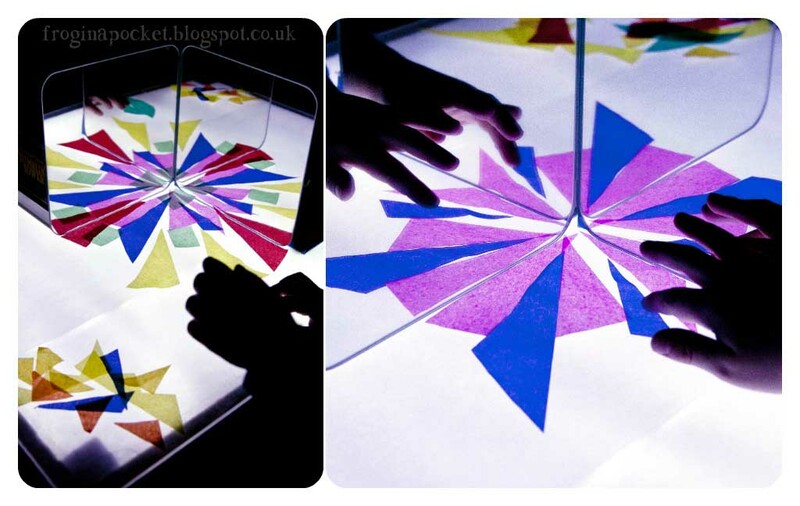 Creating symmetrical geometric patterns on the light table engaged Mr Frog for very long time. 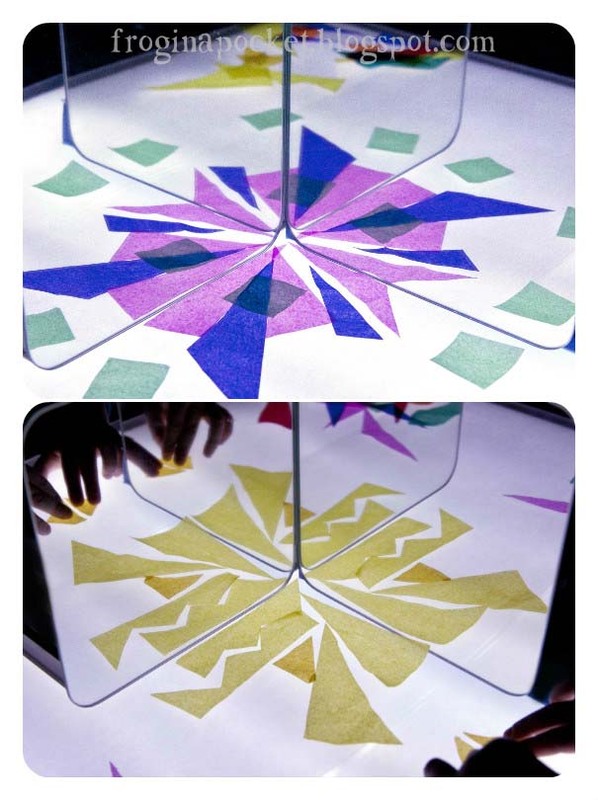 Put the mirrors on the light table upright at a right angle. It is easier if you secure it with a blue tag and put some box/books behind them. Let your child to cut out the tissue paper shapes or cut out the shapes earlier. Then create your pattern. Child can explore symmetry, geometric patterns and color. Creating patterns using delicate tissue paper is a relaxing activity and it is perfect as a quiet evening play before bed time. I haven't made a light table yet... but have been thinking about for a while. What kind of lights did you put into your table?